What’s the first thing you think of when someone says “Kentucky?” The Kentucky Derby, of course. But, this southern state is famous for way more than its horse race. In fact, there's another Kentucky town that has even more equestrian heritage than Louisville — with top notch restaurants and activities to boot. The strong entrepreneurial spirit has transformed Lexington’s downtown into a bustling creative space that is home to a vibrant arts scene (there’s more than 30 street murals), chef-driven restaurants and a craft brewing renaissance. From hip new hotels to southern B&Bs to an expansive resort, Lexington also makes R&R easy. Of course you could go to other places, but why would you? Southern “starts” in Lexington." We’re pretty sure it’s required that you need to drink in Lexington. 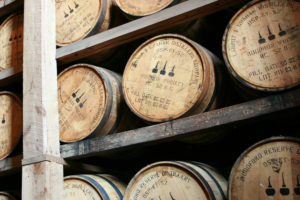 Explore the rich tradition and proud history of “America’s Official Native Spirit” on the Kentucky Bourbon Trail tour, nestled among the city’s beautiful and lush Bluegrass Region, which features such world famous distilleries. Guests can receive a firsthand look at the art and science of crafting bourbon through tours and tastings at distilleries dating back to the mid-1800s. Cheers! What goes better with a glass of whiskey than a little bit of jazz? Tee Dee’s Club has been the place for blues on Monday nights for almost 30 years. The house band features guitar virtuoso and vocalist Tee Dee Young, a local legend who has played with such acclaimed performers as Al Green, Aretha Franklin, and James Brown. Any place with a history of booze and music is certain to have a rich political history as well. Lexington is home to 19th-century Kentucky statesman Henry Clay's "Ashland" estate, the site of a historic Civil War battle. Registered as National Historic Landmark, the home is now a museum which boasts a rare collection of original Clay family items. Also nearby is the Mary Todd Lincoln House, where the future first lady and wife of the 16th President, Abraham Lincoln lived. She brought her husband and children to visit in 1847 and the first historic site has since been restored with the 14 rooms decorated with period furniture, family portraits, and furnishings from the Todds as well as the Lincolns. Village Idiot This delightful gastropub is located in Lexington’s oldest surviving post office building. The inventive menu gives a new twist to locally sourced foods. Classic dark wood finishes and a laid-back atmosphere give this spot a real pub feel. Get the Brussel sprouts with bleu cheese and bacon or "The Pot" of mussels to share. Doodle’s “Comfort food with a conscience.” This remodeled gas station has become a trendy spot for both breakfast and lunch, specializing in local and organic ingredients whenever possible. Get breakfast a la carte, including fresh buttermilk biscuits and beignets, or try any of their signature items, from the “dirty” shrimp and grits, to the often limited-quantity strata casserole. Located within 21c Museum Hotel, experience fresh, farm to table options from acclaimed chef, Jonathan Searle. His “thoughtful yet simple preparations” will leave your taste buds delighted. And while you’re there, you’ll notice it’s not just the food that’s creative; enjoy “Tomorrow’s Weather,” a multimedia work of art that hangs from the ceiling. Truly an all-around experience no one should miss! Smack dab in the middle of horse country, everything here is locally grown. Serving breakfast, lunch and dinner seven days a week, including the "Mabel’s Nut burger", a delicious local burger topped with spicy peanut dressing. Enjoy a fresh, home-style meal followed by an ice cream cone while sitting on the screened-in porch, surrounded by lilacs and horses. With the title of “Horse Capital of the World,” Lexington is an equine lover’s paradise. Horses spend the majority of their lives – birth, training, racing, breeding, and retirement – in the famed Bluegrass Region and (if lucky) compete on the number one thoroughbred racetrack in North America, the Keeneland Race Course. 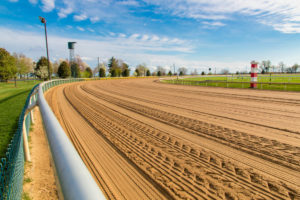 When visitors aren’t dressed up in their race day finest, they can enjoy face to face interactions with international superstar American Pharaoh, tour the 1,200 acre Kentucky Horse Park, and get to galloping on more than 250 rolling green acres of horseback riding trails at Whispering Woods Trails. It’s all part of Lexington’s new Horse Country initiative where tourists can now visit the top horse racing families in the city. Book a tour online and you’ll be allowed to walk the grounds of some of the most famous farms, get close to champions, and even visit a veterinary hospital for the animals.